Starting tonight, rejuvenate the look and feel of your eyes after the stresses of modern lifefrom long days to lack of sleep, even pollution. 89% felt calm and soothed. 82% said their eyes looked more radiant. *One Eye Mask compared to one application of Eye Gel Creme. **Consumer testing on 102 women. Apply on clean skin, once a week at night. Press liquid chamber to break seal and release formula onto pads, then massage gently to ensure pads are fully saturated. 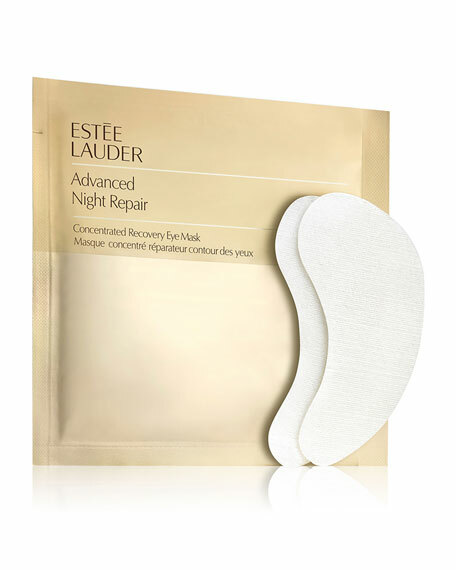 Tear open packette and separate the pads (discarding the divider), then apply one under each eye. Leave on for 10 minutes, remove pads and gently pat in any remaining serum. If desired, follow with your favorite eye creme.